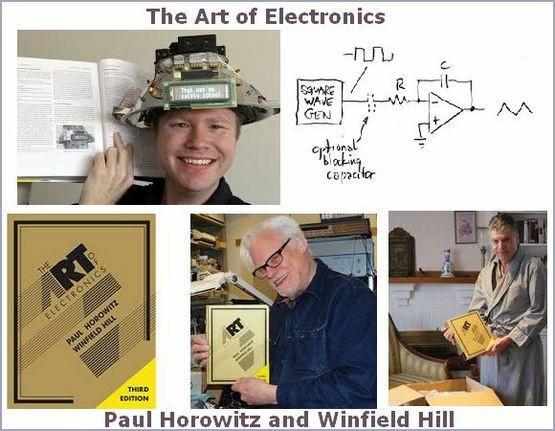 The Art of Electronics covers the full range of subjects normally treated in electronics books, as well as a rich complement of important but neglected topics. The book covers many areas of circuit design, from basic DC voltage, current, and resistance, to active filters and oscillators, to digital electronics, including microprocessors and digital bus interfacing. It also includes discussions of such often-neglected areas as high-frequency, high-speed design techniques and low-power applications. This introduction to circuit design is unusual in several respects. First, it offers not just explanations, but a full course. Each of the twenty-five sessions begins with a discussion of a particular sort of circuit followed by the chance to try it out and see how it actually behaves. The book includes many example circuits. In addition to having examples of good circuits, it also has examples of bad ideas, with discussions of what makes the good designs good and the bad ones bad. It can be described as a cross between a textbook and reference manual, though without the chapter-end questions and exercises which are often found in textbooks. Paul Horowitz is a Research Professor of Physics and of Electrical Engineering at Harvard University, where in 1974 he originated the Laboratory Electronics course from which emerged The Art of Electronics. Winfield Hill is by inclination an electronics circuit-design guru. After dropping out of the Chemical Physics graduate program at Harvard University.